I am here for an photo inspiration post for Addicted to stamps and more challenge # 325. 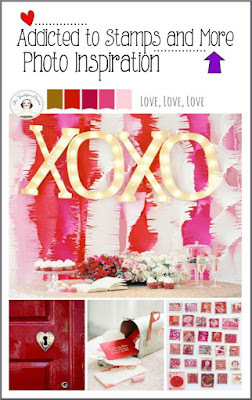 This is a fun theme challenge where you have to get inspired from the photo provided in the challenge blog. For my card, I made it using shades of pink from the photo. I used Die cuts and more ready to colour critter sheets (these are awesome sheets and I love colouring them). 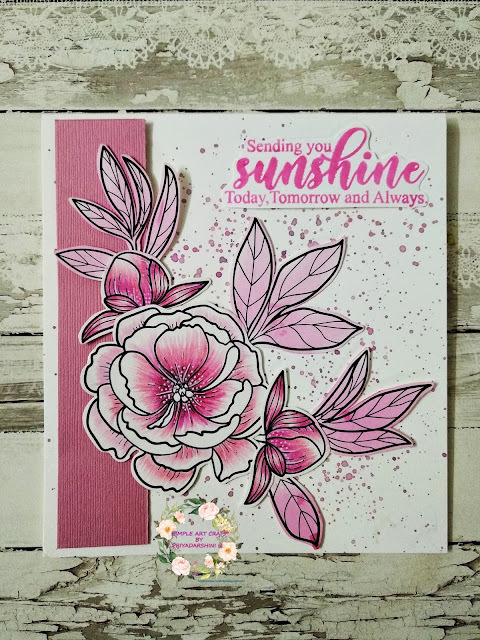 Its a top fold note card and for the background, I splattered some shades of pink (used distress inks) and let it dry for 5 mins. I coloured the big flower and two buds with my pencils and fuzzy cut the flowers and leaves. Using a sponge dauber, I added mild pink ink to the leaves. To finish the card, I added a strip of pink cardstock to one side and started assembling these flowers together. I also added the sentiment using pink distress oxide ink. This card ended to be my favorite.